School or college field trips are the most exciting for the youth. But if proper arrangements are not made then the group cannot enjoy to the fullest. 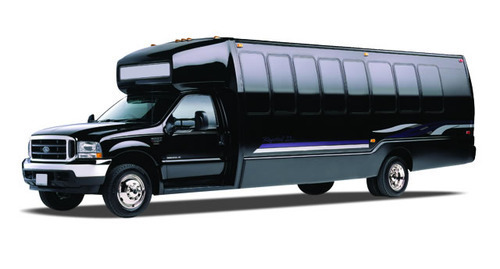 This is the reason RVP Tours are the best option for transportation services for school or college field trips. The fleet options are innumerable and start with 24-30 Passenger Mini Coaches to 56 passenger big coaches. You are literally spoilt for choice and we help you to accommodate all the students, staff members and other guests as well. You can rely on RVP Tours for the most comfortable and safe ride with your students. Thus, you may book charter buses for preschool field trip, game day for the college, off-campus high school student’s skill training and much more. We have reservation experts available for you to talk and make arrangements. You will also get a free quote. The buses at RVP Tours are all modern and updated with recent technologies. We maintain the best safety standards on all our buses. They are state certifies and driven by experienced drivers only. When you charter a bus from us you stay assured that you are in the best of hands. The school or college buses can really be uncomfortable at times during a long field trip. But if you charter a bus for your day’s services, then you can really sit back and enjoy the ride till your destination. We have some amazing amenities for your ride like DVD Players, Television, climate control ACs, recliner seats, restrooms, WiFi and other entertainment options. These amenities will make your ride much smoother. If you have planned a meeting outdoors with all the other faculty members of the school, then charter bus for rent is the safest way to have fun and do work together. This way there will not be any need to take up separate cars and meet at the decided destination. You can all arrive together by a bus on time. If your school or college is participating in a sporting even, then travelling together with a school team and ensuring their safety can be a hassle. Not anymore with RVP Tours, all you have to do is to give us the passenger number and other small details and we will provide you with the best bus service available for your task. Are you planning to host a sorority or fraternity out of town for your college? Well then there will have to be a lot of planning and management for the same. But, when RVP Tours is around you will not have to look after the transportation of the staff, students and others. You need to let us know the pick-up and drop points with the passenger number beforehand. If you have a big school or college group then relying on public transportation services in any city will be a complete waste of time. Additionally, your group will get separated and some members may arrive late for the event. If you charter a bus with RVP Tours instead all of you can travel together and reach on time. You must take time and read the travel guide on charter buses to understand the advantages of it. If you do not understand the various bus types and the best one for your group then you can call our reservation experts for help. Price guide has been given, but if you are confused then please call in the experts for a free quote.